Need a great gift idea? 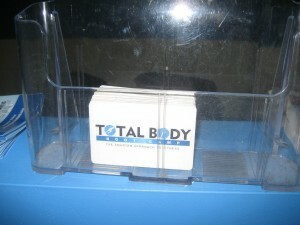 TBBC has actual gift cards as well as online gift cards available for our Farmingdale, Long Island Boot Camp. Gift cards are available in $25, $50, $75, $100, or any amount you choose. Feel free to purchase online, at TBBC, or by calling (631) 225-7831. These gift cards can be used like cash at TBBC for merchandise or training. Current clients will not be able to use gift cards for automatic payments but can use them for anything else. A TBBC gift card is a great idea for the fitness enthusiast in your life or that special someone who needs to improve their health/fitness. I like the valuable info you supply in your articles. I’ll bookmark your blog and test once more right here frequently. I am reasonably sure I will be informed plenty of new stuff proper right here! Good luck for the following!